Amman cityscape. Photo by David Bjorgen. For outside observers, Queen Rania Street, a bustling thoroughfare in central Amman, has an odd feature running for two kilometers down the center of the road: a vacant lane. It has been adopted by cyclists as an unofficial bike lane, but the city of Amman originally had another sustainable transport solution in mind. After a rocky start, a sub-committee of the Jordanian parliament has put forth a recommendation to resume work on the advanced bus system in Amman, Jordan, recognizing bus rapid transit (BRT) as the best solution for Amman’s traffic problems. In re-visiting the plan — the first of such in the region — parliament officials are increasingly recognizing that Amman cannot afford not to invest in the solutions offered by an advanced bus systems. In the summer of 2011, however, with several downtown sections complete or in-progress, then-newly installed Jordanian prime minister Marouf al-Bakhit halted the project, questioning the cost, feasibility, and overall benefit of the system. This case underscores the importance of educating and articulating the potential of advanced bus systems to local and national leaders. Jordan, like its other Middle Eastern neighbors, is facing an energy crisis, and rising fuel prices threaten political and economic stability. Equitable, accessible, and efficient mass transport options are needed more than ever, and they are needed quickly. Firstly, we have been relying for too long on cheap oil from our neighbors, so building roads and importing more cars was the way to go, not just in Amman, but at the national level as well. Secondly, the institutional set-up was not designed to give the right incentives for policymakers at the municipal and national levels to think more systemically. 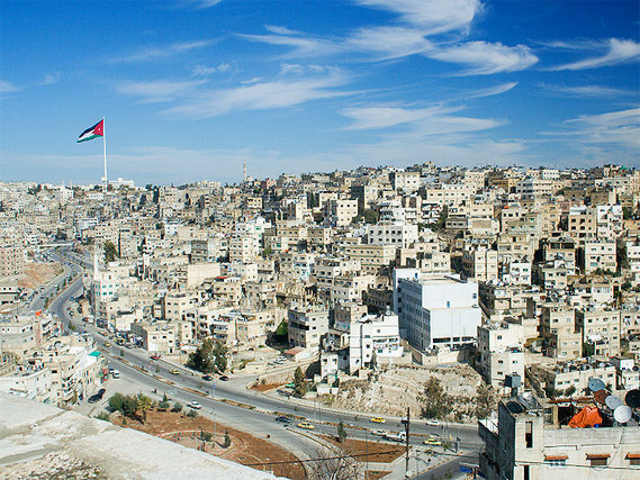 Rapid urban development, combined with a 10-15% yearly increase in car ownership in Amman, are adding to the historic city’s traffic congestion. Moreover, Amman’s decentralized transport infrastructure, argues Jamil Ali Mujahed, director of Jordan’s Land Transport Regulatory Council, “is one of the main barriers hindering comprehensive overhaul.” According Mujahed, 90 percent of Jordan’s public transport is owned by a myriad of private operators, with taxis and minibuses being among the most popular modes. More cars on the roads and a weak infrastructure for pedestrian safety is a recipe for a tragic and costly toll on human lives. Noted as a low-cost and efficient mass transport solution for cities around the world, Jordanian experts have called bus rapid transit, ”“the best option for a city like Amman” to resolve its growing “public transportation dilemma.” The Amman BRT system is estimated to save the city over 85 million kilometers of distance travelled by private vehicles per year and 12 million kilometers of distance covered by taxis. This is estimated to lead to a 6.6 thousand ton-reduction in carbon emissions annually, or 280 thousand tons in the next 30 years. In addition, according to 2010 traffic department statistics for Amman, the 32-kilometer network could help save the city over 200 million Jordanian Dinars (USD $280 million) in healthcare and other costs, resulting from vehicle accidents. The Amman BRT system project is far from dormant. For now, a 2-kilometer section of Queen Rania Street in Amman remains void of buses, but that may change very soon.